AmericasMart is a seven million square foot wholesale trade center and is a popular venue for apparel, gift and home furnishing trade shows. The center is comprised of seven buildings and features permanent showrooms. The buildings are connected by 24 pedestrian bridges. AmericasMart is connected to the Westin Peachtree Plaza Hotel. 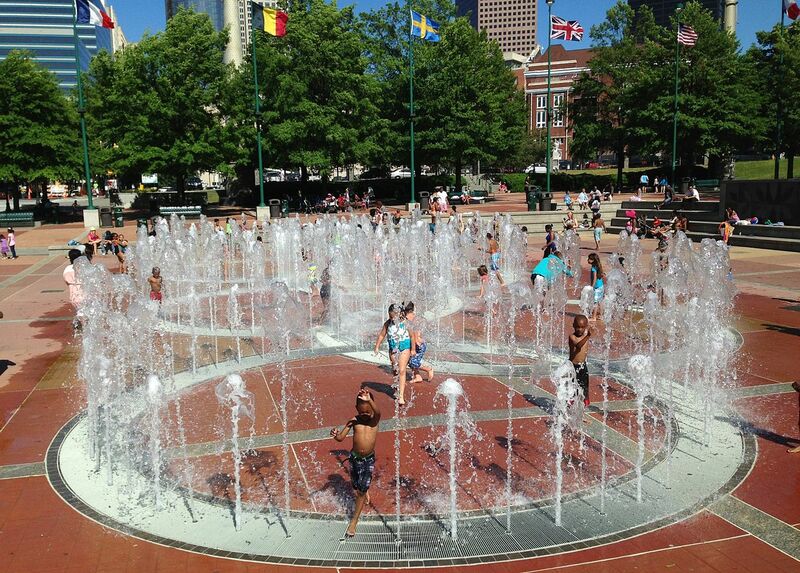 Centennial Olympic Park is a 21 acre public park located adjacent to the Georgia World Congress Center. Built for the 1996 Summer Olympic Games in Atlanta, the park is surrounded by the Georgia Dome, Georgia Aquarium, World of Coca Cola, CNN Center and Philips Arena. Centennial Park is a popular venue for concerts and social gatherings. The Georgia State Capitol, a neoclassical building with a gold dome, is a Downtown Atlanta landmark. This building is listed on the National Register of Historic Places and contains the offices of the state governor, lieutenant governor and the secretary of state as well as the meeting place of the general assembly. The building also houses a museum and tours are available. For more info, click here. Mercedes-Benz Stadium is the home of the Atlanta Falcons football and Atlanta United soccer teams. This retractable roof stadium replaced the Georgia Dome. Mercedes-Benz Stadium is also the host of the SEC Football Championship and the location of the Chick-fil-A Kickoff and Chick-fil-A Peach Bowl annual football games. The stadium opened on August 26, 2017. Like the Georgia Dome, this stadium is also a potential venue for events such as concerts, trade shows and religious gatherings. 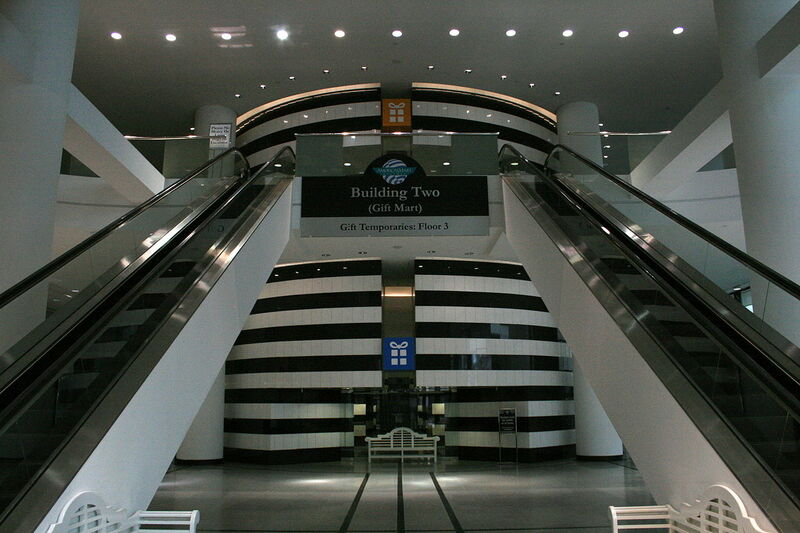 Peachtree Center is a 3 tiered retail mall in Downtown Atlanta. The mall features 60 establishments that include restaurants, personal and business services as well as shopping for apparel, accessories, beauty, books, gifts, jewelry and a health club. The mall is attached to two hotels: Hyatt Regency Atlanta and Marriott Marquis, by covered sky bridge. Philips Arena is a multipurpose venue for concerts, basketball games and hockey games. 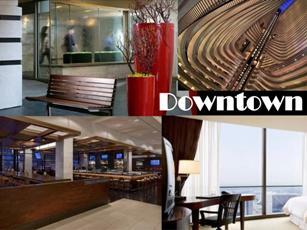 The arena, located in CNN Center, is the home of the Atlanta Hawks NBA team and Atlanta Dream WNBA. The arena features suites that can be rented for private gatherings, restaurants/clubs, food outlets and retail outlets. 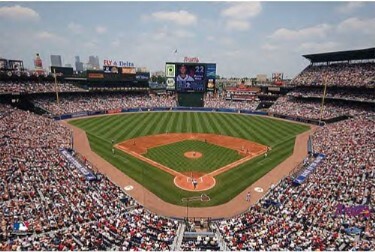 Turner Field is the former (20 seasons) home of the Atlanta Braves MLB team. Opened in 1997, this state-of-the-art ballpark was first used as the 1996 Centennial Olympic Stadium, then retrofitted for professional baseball. Purchased in 2017 by Georgia State University, Turner Field will be reconstructed to become a football stadium home for the Georgia State University Panthers. This stadium is a Downtown Atlanta landmark that is located near the junction of I-75-85 and I-20. The district features nightclubs, restaurants and eateries, as well as unique shops and specialty stores. The district showcases local musical talent in the genres of Jazz, R&B, Soul, Gospel and more. The Masquerade, located on Kenny's Alley, is a live music venue with three stages. For events at The Masquerade, click here.